The Mississippi River is one of Saint Paul’s greatest features. Bordering the iconic Mississippi are numerous city parks on or near the river, and many of these parks are undergoing planning processes in the coming months. We want to hear your vision! A master plan identifies opportunities and basic development principles for a proposal or project. It is the first step to secure public funding and start the design process which defines and refines the vision for a project before it can become a reality. Why participate in the development of a master plan? Parks and projects aspire to reflect the vision and needs of the community, which is why community engagement is an essential component of the master planning process. Community members bring deep local knowledge which helps the project leaders make informed decisions and can bring to life the best future version of a place. All community members are welcome to attend. The master plan for Hidden Falls Crosby Farm Regional Park will guide park improvements, natural resources management, and make recommendations for changes within or adjacent to the park. City Parks and Recreation staff will be asking for input and feedback on this plan throughout fall 2018, and the written report will be completed by June 2019. 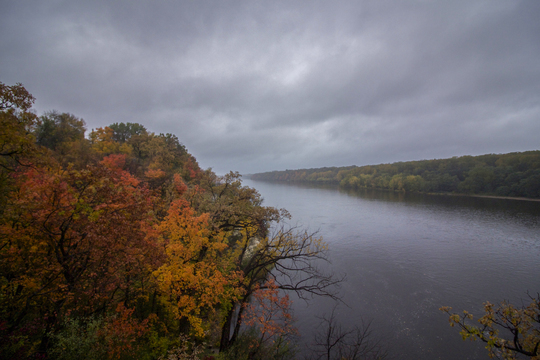 The land we now call Indian Mounds Regional Park, located atop the bluffs of the Mississippi River on the eastern side of downtown Saint Paul, is rich in geological and cultural history and is sacred for tribal communities especially the Dakota people. City of Saint Paul Parks and Recreation staff is working with the Minnesota Indian Affairs Council to partner with Native Americans around the protection, interpretation, stewardship, and potential improvements of the site. Two studies are currently underway at Indian Mounds Regional Park – a Cultural Landscape Plan and a Trail Reconstruction Project. The purpose of the Swede Hollow Park Master Plan is to prioritize park access; increase visibility and security through design; address natural resource management; consider ways to bring long-buried segments of Phalen Creek to the surface; and highlight historical and cultural interpretation and management.